NAVY VETERAN AND REAL ESTATE IS MY BUSINESS!!! GOLF AND FISHING ARE MY HOBBIES!! !HOME OF THE BSU BRONCOS!!! Native of Idaho and a Realtor since 1995. I'm here to assist you sell or purchase your property. Associate Broker, Accredited Buyer Representative, Graduate Realtor Institute, e-PRO, Navy Veteran, Short Sales & Foreclosure Resource. I am committed to you from the beginning to the end. Did you know we have great bass fishing in Idaho? I can help you or anyone purchase or sale a home in any state. Did you know there are still 100% loans out there and, yes, lenders are still lending. Please call or e-mail me and let me discuss any questions you may have. I am a full time realtor and yes, I do work on Sundays too. Interested in available foreclosure listings in Idaho? View the latest foreclosure listings on the market today! 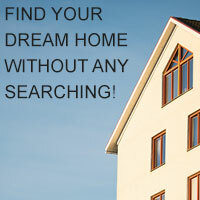 View the latest REO / Bank Owned listings in Idaho via my Idaho real estate website! Bass fishing in Boise Valley... Come join our club.